As the warm weather descends, Canadians are preparing to fire up the BBQ. And there’s a brand new vegetarian option headed north that’s going to sit nicely on the grill. 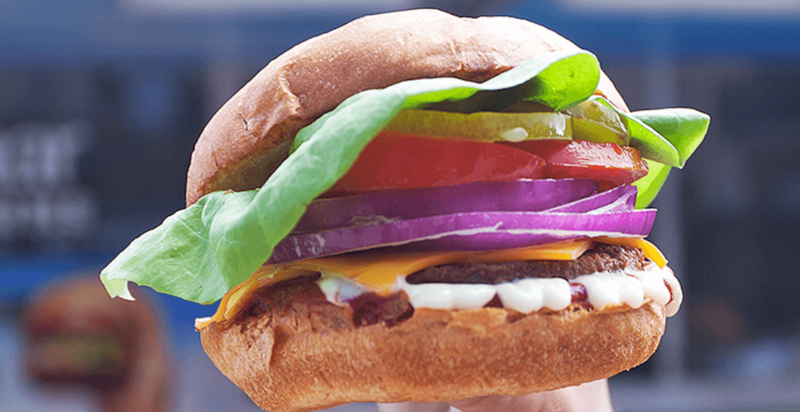 MorningStar Farms Veggie burgers, a fav of veg-heads in the USA, will be landing in Canada in April. There will be three mouthwatering flavours that offer nine to 11 grams of protein per patty on offer. With an overall shift towards appreciating plant protein, including recommendations from Canada’s Food Guide, having more vegetarian options on deck is always a plus. Harvest Veggie Burgers – A tasty vegetarian classic made with a combination of mushrooms, water chestnuts, onion, carrots, and red bell pepper. Spicy Black Bean Burgers – A medley of green chilies, jalapeño peppers, and black beans to add the perfect kick to any meal. Mediterranean Chickpea Burgers – Simple and satisfying, these burgers serve up a mix of chickpeas, spinach, Roma tomatoes, and traditional Greek herbs and spices. These burgs cook from frozen in approximately eight minutes and can be prepared in a skillet, in the microwave, in the oven, and, of course, on the grill. Which is what we know you’ll be doing as soon as the weather warms up just a smidge more.